Volkswagen’s biggest-selling commercial vehicle model in the UK, the Transporter, now boasts class-leading fuel efficiency thanks to a host of recent updates to its flagship BlueMotion model. Offering the ultimate in efficiency, the Transporter BlueMotion model achieves a combined fuel economy of 48.7 mpg and emissions of only 153 g/km. One tank of fuel can deliver a theoretical range of more than 850 miles, the equivalent of driving from Portsmouth to Prague! These figures represent a 3.9 mpg improvement in combined fuel economy, and a 13 g/km reduction in emissions compared to the previous BlueMotion model. The efficiency of the Transporter BlueMotion, which is available only as a panel van, is achieved by modifying the engine management system and transmission as well as using low rolling resistance tyres, start/stop and battery regeneration systems and cruise control. Every aspect of the vehicle’s specification has been optimised to reduce weight and improve aerodynamics. At the heart of the Transporter BlueMotion is the familiar 114 PS 2.0-litre TDI engine with common rail direct injection, which delivers a maximum of 250 Newton metres of torque. 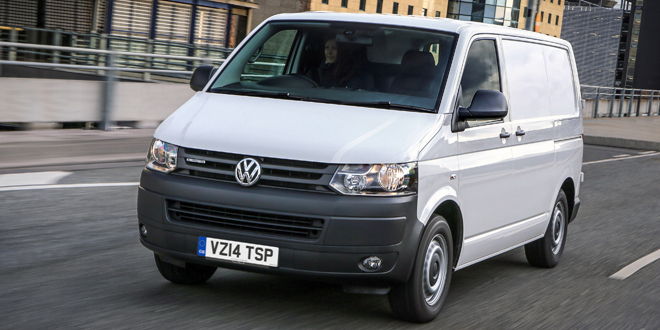 The cleanest and most fuel-efficient Transporter panel van ever is available to order now through Volkswagen Commercial Vehicles’ Van Centre network. Prices start at just £19,245 (basic RRP ex. VAT). I wonder if these figures include ply lining, roof rack for pipe and pipe tube and a tow bar fitted?? Thats how vans are really used not in low drag empty mode with no spare wheel on board with nothing inside with a skinny driver. Wonder did it need recovered due to the poor build quality of drive shafts and EGR valve problems? 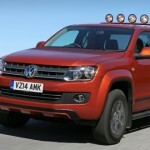 The new version of the Syncro (four wheel drive pickup version) being launched even comes with a winch on the front bumper so it can pull itself onto the recovery vehicle. The one good value adding feature!